Writer’s block, or creative block, is possibly as old as the art of writing itself. And it doesn’t just happen to writers. Creatives from all walks of life—artists, musicians, poets, entrepreneurs—can suffer from it. Sometimes inspiration just doesn’t strike. But what exactly is writer’s block? And what can you do once it strikes? Should you just give up your art and take a day job? Or are there ways to help you break through writer’s block? In this post we’ll discuss the causes and possible ways to beat writer’s block once it hits. The reason why it’s so hard to get started and find continuous inspiration varies greatly from person to person. 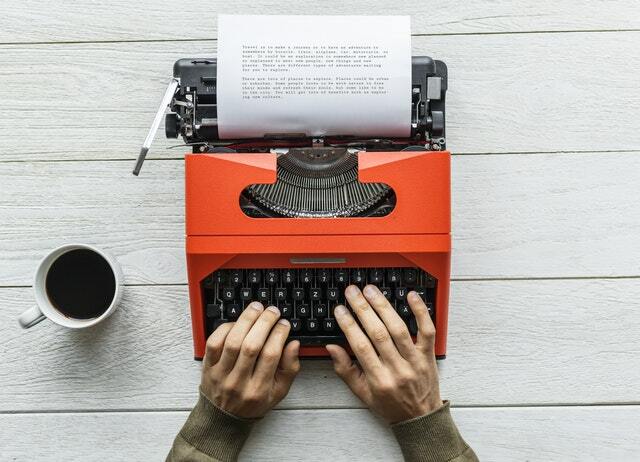 While writer’s block is commonly experienced by writers and creatives, some experts, like writer and psychologist Susan Reynolds, claim that it’s just a myth and not a psychological condition at all. Reynolds states that the hard truth is that writing is a challenging mental process that involves uncomfortable aspects like experimentation, uncertainty, and vulnerability. She notes that writing “requires more hard-core, cognitive expenditure than many other lines of work” and that’s why most writers struggle, not because of an inspiration-draining inhibition. Whether writer’s block is a real psychological issue or a term coined to give the challenges of writing a somewhat romantic flair, the reasons behind the struggle are numerous. Most writers struggle with fear. Fear of putting themselves and their ideas out there. Fear of others judging them or criticising their work. Fear of being rejected by publishers or their readers. While fear is completely normal, it becomes a problem once it prevents you from creating anything new. Fear is possibly the biggest reason that some writers don’t make it. One of the most common blocks for writers and creatives of all walks is perfectionism. It’s normal to want to do our very best, to get everything just right before we even start our first sentence. Most people use perfectionism as a protection mechanism, to protect themselves from harsh critique or failure. Unfortunately, trying to write the perfect sentence, paragraph, or novel will lead most writers to never write a single word. We are our own worst critics. Excessive self-criticism is often what holds writers back from actually writing. Most writers compare their work with that of other, more successful writers or even to their own earlier work. This can often spiral until we can’t see our own work in a realistic light anymore and nothing ever seems to be good enough. In other cases, the person experiencing writer’s block doesn’t actually want to write, but they are being pressured into writing by others, often parents or teachers. One of the best ways to beat a case of writer’s block is by engaging in physical exercise. Exercising has been proven to reduce stress, focus the mind, increase productivity, and enhance the memory. In particular, aerobic exercise such as running encourages the growth of new brain cells in the hippocampus, the part of the brain that allows us to imagine new situations. While more studies are needed, research suggests that regular physical exercise can improve creativity and creative problem solving, which are needed for writing. So the next time you’re stuck in front of a blank page, put your trainers on and go for a run. Instead of dwelling on the same plot twist or trying to find the perfect first sentence, switch tasks and work on something completely different for a while. This could be another creative activity, like painting, or something simple, like walking the dog or cooking a nice meal. Switching tasks can be a quick reset if you’re feeling stuck. Sometimes all it needs to clear the head and get some new ideas is a change of scenery. Try working from a different environment like a coffee shop or co-working space the next time you feel stuck and need some inspiration. The seemingly simple solution to writer’s block is to just write. And while it’s easier said than done, there are certain writing exercises that can help you get into the flow again. Free writing, or writing without rules, is a popular writing exercise. Start writing down any thought that might pop into your head without editing or censoring. The idea is to let your imagination roam free. Set a timer for 5 minutes and write non-stop. Don’t lift your pen from the paper or your fingers from your keyboard. After the exercise, read what you wrote and see if anything pops out that inspires you. Free writing takes practice, so give it a go and be patient the first few times you try it. We live in noisy times, surrounded by distractions and seemingly urgent interruptions to our work, whether it’s email, social media, a needy neighbor, or breaking news. Try creating a distraction-free space for yourself when you’re writing or doing creative work. This includes both your physical space and mental space. Switch off all notifications, go offline if possible, and, if you work from home, let co-workers or family members know that you have office hours. Whether you’re a self-proclaimed morning person or night owl, changing up your work rhythm can help you overcome your writer’s block. In a 2013 article, Psychology Today referenced a study by the University of Michigan that showed many people have counterintuitive circadian rhythms (meaning our daily cycles of creativity via physiological and cognitive activity), and are actually more productive at the times we believe we are least productive. The study found that morning people, who “feel more productive in daytime hours,” are actually more adept at creative problem-solving in the evening. The opposite held true for those who claimed they were more focused at night. Try adjusting your sleeping times to your most creative working hours or write down your creative ideas before going to bed and then follow up on them the next day. Many writers tend to work in binges, writing nothing for weeks and then locking themselves into a room and writing for days on end. Often the sheer pressure that has built up over the past several weeks leads the writer to experience a creative block. Instead of writing in binges, try breaking down your work into smaller segments. Some writers set themselves a daily goal of words or pages—for example 1,000 words or 3 pages. This can take off some of the pressure of having to write a whole chapter or report. And the routine of sitting down every single day to write can also help you get into the flow more easily and avoid perfectionism. Okay, maybe not bored, but try doing nothing for a while. We are constantly distracted by noise and notifications, but research shows that letting your mind wander can have beneficial effects on creativity. In the past, scientists considered mind wandering to be a waste of time. However, recent research has found that mind wandering or daydreaming is a highly engaged brain state that uses the same processes of the brain that foster imagination and creativity. So, if you’re driving yourself crazy trying to push through writer’s block, just take a step back, find a peaceful spot, and let the mind wander. Perfectionism is one of the causes of writer’s block. The best way to combat perfectionism is to remind yourself that you’re merely working on the first draft. Thinking of your work as a first draft of many will take the pressure off to get it just right. It’s always easier to rewrite, edit, tweak, and improve a piece of imperfect writing than to try to get it right the first time round. Ultimately, the only thing that will really get you to overcome writer’s block is (you guessed it) to write. So try some of our tips to help get the creative juices flowing again, clear your head, get some rest, and refocus. And then sit down at your desk or in your favourite cafe and let the words out. Do you ever experience writer’s block? What helps you to push through it? Leave your own tips in the comments section below. I think one of the most effective methods is to use the Pomodoro technique, as it gets you focused and started. When you say ‘research shows’ can you please provide a reference above or here in the comments? Thanks. Great post with actionable tips. Besides exercise to break the block,I go back and re edit what I’ve already written to help create a spark.